Dell - N874G N874G Dell Intel Xeon E5440 Quad-Core 2.83ghz 12mb L2 Cache 1333mhz Fsb Socket Lga771 45nm 80w Processor. New Bulk Pack. Hewlett Packard - 459503-L21 459503-L21 HP Intel Xeon E5440 Quad-Core 2.83GHz 12MB L2 Cache 1333MHz FSB Socket LGA 771 80w Processor. New Bulk Pack. Hewlett Packard - 455424-B21 455424-B21 HP Intel Xeon E5440 Quad-Core 2.83GHz 12MB L2 Cache 1333MHz FSB Socket-LGA 771 80W 45NM Processor For Proliant ML150 G5 Servers. New Bulk Pack. Hewlett Packard - 455424-L21 455424-L21 HP Intel Xeon E5440 Quad-Core 2.83GHz 12MB L2 Cache 1333MHz FSB Socket-LGA 771 80W 45NM Processor. New Bulk Pack. Hewlett Packard - 459490-L21 459490-L21 HP Intel Xeon E5440 Quad-Core 2.83GHz 12MB L2 Cache 1333MHz FSB Socket LGA 771 Processor Kit For Proliant BL460C G1 Server. New Bulk Pack. IBM - 43W3995 43W3995 IBM Intel Xeon DP Quad Core E5440 2.83GHz 12MB L2 Cache 1333MHz FSB 45NM 80W Socket LGA 771 Processor. New Bulk Pack. Hewlett Packard - GX573AA GX573AA HP Intel Xeon E5440 Quad-Core 2.83GHz 12MB L2 Cache 1333MHz FSB Socket LGA-771 45NM 80W Processor. New Bulk Pack. 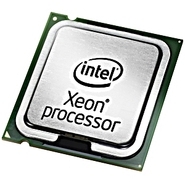 Hewlett Packard - 455274-002 455274-002 HP Intel Xeon E5440 Quad-Core 2.83GHz 12MB L2 Cache 1333MHz FSB Socket LGA 771 80W 45NM Processor For PROLIANT Server. New Retail Factory Sealed With Full Manufacturer Warranty. Hewlett Packard - 457933-B21 457933-B21 HP Intel Xeon E5440 Quad-Core 2.83GHz 12MB L2 Cache 1333MHz FSB Socket-LGA 771 80W 45NM Processor Kit For PROLIANT DL360 G5 Server. New Retail Factory Sealed With Full Manufacturer Warranty. Hewlett Packard - 460490-001 460490-001 HP Intel Xeon E5440 Quad-Core 2.83GHz 12MB L2 Cache 1333MHz FSB Socket LGA 771 80W 45NM Processor Only For PROLIANT Server. New Retail Factory Sealed With Full Manufacturer Warranty. Hewlett Packard - 459490-B21 459490-B21 HP Intel Xeon E5440 Quad-Core 2.83GHz 12MB L2 Cache 1333MHz FSB Socket LGA 771 80W 45NM Processor Complete Kit For PROLIANT BL460C G1 Server Blade. New Retail Factory Sealed With Full Manufacturer Warranty. Hewlett Packard - 458585-B21 458585-B21 HP Intel Xeon E5440 Quad-Core 2.83GHz 12MB L2 Cache 1333MHz FSB Socket LGA 771 80W 45NM Processor Kit For PROLIANT DL380 G5 Server. New Retail Factory Sealed With Full Manufacturer Warranty. Hewlett Packard - 460490-001 HP/COMPAQ - INTEL XEON E5440 QUAD-CORE 2.83GHZ 12MB L2 CACHE 1333MHZ FSB SOCKET LGA771 80WATTS 45NM PROCESSOR FOR PROLIANT SERVERS (460490-001). NEW BULK. IN STOCK. SHIP SAME DAY. Hewlett Packard - 459503-B21 HP/COMPAQ - INTEL XEON E5440 QUAD-CORE 2.83GHZ 12MB L2 CACHE 1333MHZ FSB SOCKET LGA771 80W 45NM PROCESSOR ONLY FOR PROLIANT BL480C G1 SERVER (459503-B21). NEW BULK. IN STOCK. SHIP SAME DAY. Hewlett Packard - 457933-B21 HP/COMPAQ - INTEL XEON E5440 QUAD-CORE 2.83GHZ 12MB L2 CACHE 1333MHZ FSB SOCKET-LGA771 80WATTS 45NM PROCESSOR KIT FOR PROLIANT DL360 G5 SERVER (457933-B21). NEW BULK. IN STOCK. SHIP SAME DAY. Hewlett Packard - 458585-B21 HP/COMPAQ - INTEL XEON E5440 QUAD-CORE 2.83GHZ 12MB L2 CACHE 1333MHZ FSB SOCKET LGA771 80WATTS 45NM PROCESSOR KIT FOR PROLIANT DL380 G5 SERVERS (458585-B21). NEW BULK. IN STOCK. SHIP SAME DAY. Hewlett Packard - 459490-B21 HP/COMPAQ - INTEL XEON E5440 QUAD-CORE 2.83GHZ 12MB L2 CACHE 1333MHZ FSB SOCKET LGA771 80WATTS 45NM PROCESSOR ONLY FOR PROLIANT BL460C G1 SERVER BLADE (459490-B21). NEW BULK. IN STOCK. SHIP SAME DAY. Hewlett Packard - 458257-B21 HP/COMPAQ - INTEL XEON E5440 QUAD-CORE 2.83GHZ 12MB L2 CACHE 1333MHZ FSB SOCKET-LGA771 45NM 80W PROCESSOR KIT FOR PROLIANT ML350 G5 SERVER (458257-B21). NEW BULK. IN STOCK. SHIP SAME DAY. Hewlett Packard - Uk689E Uk689E HP Intel Xeon E5440 Quad Core 2.83GHZ 12MB L2 Cache 1333MHZ Fsb Socket Lga771 45NM 80w Processor. New Retail Factory Sealed With Full Manufacturer Warranty.